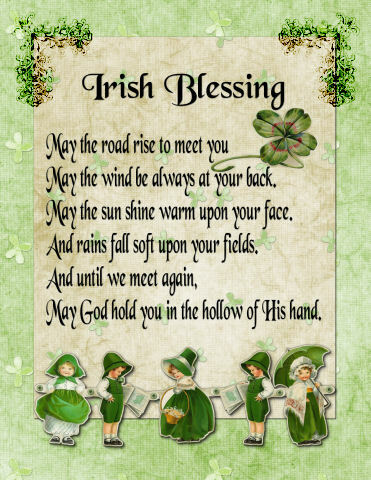 Saint Patrick’s Day (Irish: Lá Fhéile Pádraig) is a religious holiday celebrated internationally on 17 March. It is named after Saint Patrick (c. AD 387–461), the most commonly recognised of the patron saints of Ireland. It is observed by the Roman Catholic Church, the Anglican Communion (especially the Church of Ireland), the Eastern Orthodox Church and Lutherans. 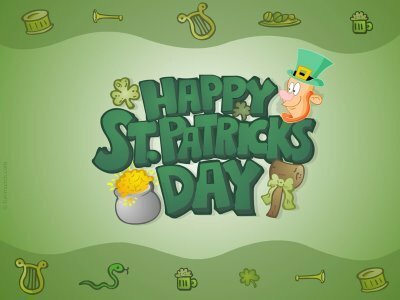 Saint Patrick’s Day was made an official feast day in the early 17th century, and has gradually become a celebration of Irish culture in general. If you catch a leprechaun, you get his pot of gold–or is it three wishes? How will you celebrate SPD? Bake a green cake for dinner? Dye your hair green? Have a green milk shake? 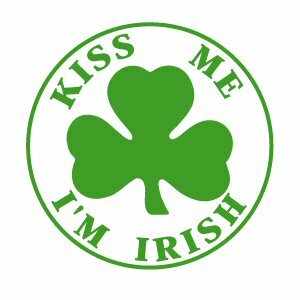 Categories: Small World Blessings | Tags: Ireland, Kiss Me, McCrackin, Saint Patrick, St. Paddy's Day; | Permalink.